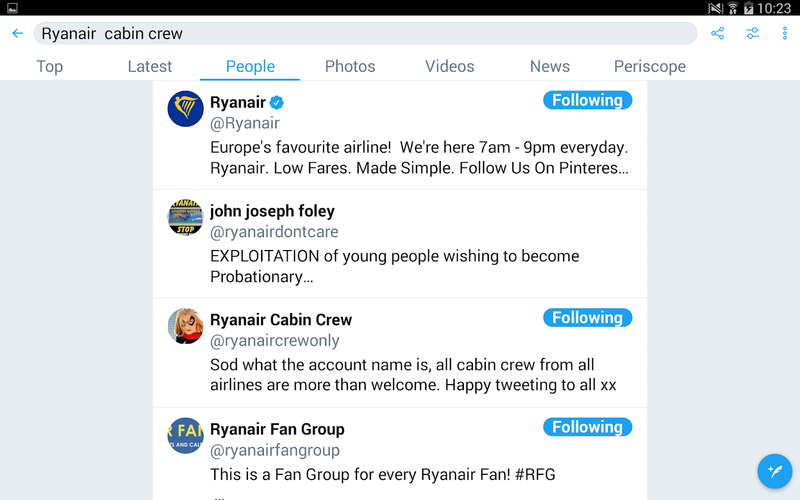 On Twitter Ryanairdontcare Campaign are now second.This is great news. "Doomed to fail Mr O'leary"..Lol. This will give young people wishing a career in aviation as cabin crew, a chance to see the real treatment of probationary cabin crew at Ryanair. John...crewlink and Ryanair have just changes the policy and no longer charge students for the training course and pay students 28 per day. My friend was told this on the phone by crewlink. It isn't published anywhere as this would anger existing crew. I think they have become so desperate for people. 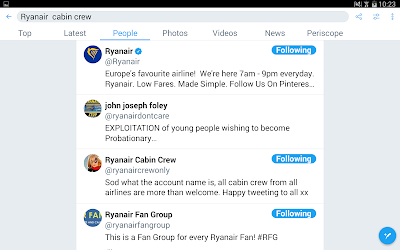 Please let people know and let Ryanair crew know what they are doing. Thanks for this, got sent to me last week...You can view here.